In colaboration with Super Wheels Skating center we love to see children with talent sing their hearts out and experience the compassion and love that is heard from a cheering crowd. That is why we have combined forces to bring this incredible event to the Super Wheels Stage. 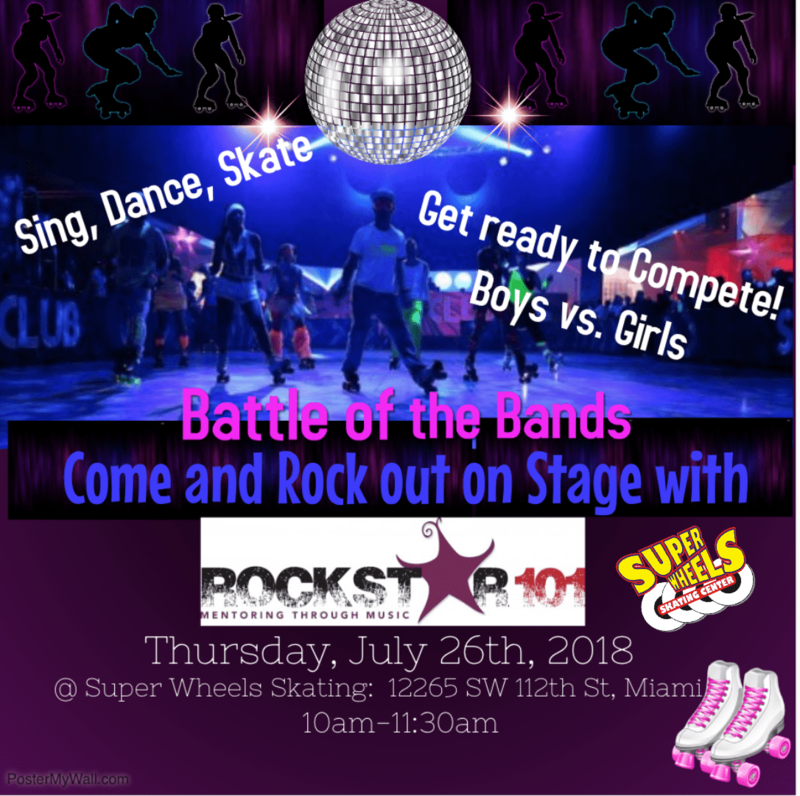 Thursday July 26, 2018 the stage is all yours, Join us as we pick up the mics and give you the opportunity to show everyone what you got!!!! Streaming Live on Miamigo.tv and in person at Super Wheels Skating Center. For more details and information contact us. MISSION: RockStar 101’s mission is to empower children of all ages with and through the use of the universal language: music. Through self-expression, our programs help build good and strong character by instilling confidence, teamwork and the importance of legacy, all in a high-energy FUN atmosphere…by emphasizing to children that their voice matters, and assisting them to ensure they are heard; ultimately, helping them become Rockstars on the stage of life! 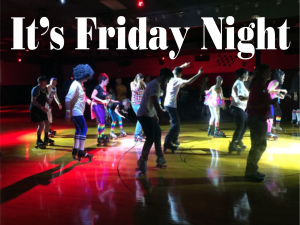 It is with great pleasure to introduce this to the skating community the incredible opportunity to bring back our special TV show of It’s Friday Night at Super Wheels. The T.V. show wil air live on Livestream, Facebook and Youtube each and every Friday night from 10:00pm to 11:00pm. The show will consist of Pizza eating contests, Jam skate battles, B-boy battles and much more. 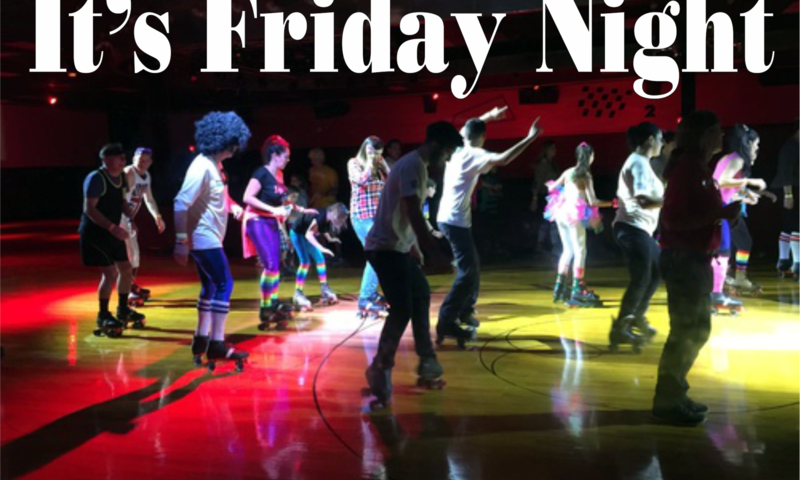 Super Wheels would like to invite anyone who wishes to participate, to join us each and every Friday. If you can’t make it for the action thank tune in. 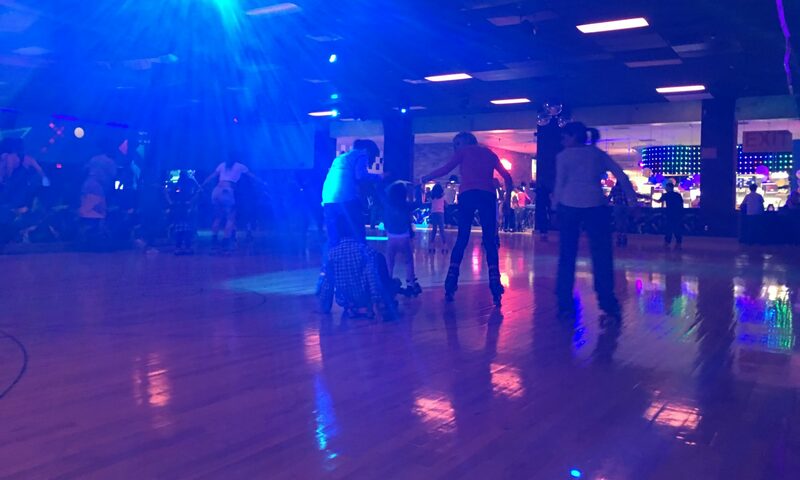 Super Wheels Skating Center during any regular session. @superwheelssk8 & @saucyskateshop a voucher for a set of free wheels.